Are you looking for the best hair bundles with closures? 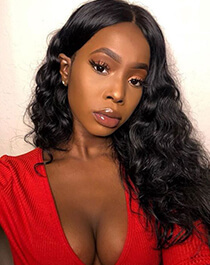 If you've bought virgin human hair weave before, you should know that Brazilian hair bundles with closure is considered one of the best hairstyles on the market. 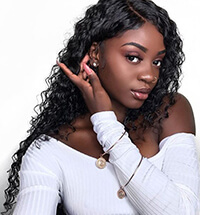 Well,how to buy best Brazilian Hair Bundles With Closure?Dsoar offers 3/4 bundles with frontal/closure to help you create a natural look at an affordable price. As girls, we most care about is the hair is beautiful or not, so they love the pure virgin human hair as their own hair on head. Spending hard-earned money from hair stores and with bad quality hair many times, then made them disappointed and sad. DSoar Hair as a responsible hair vendor, we provide the best human hair weave bundles with closure. Why do so many people choose Brazilian hair ? There are some reasons to explain the problem, perhaps you will understand it. It usually takes you a long time to find the right hair, and it's worth it. Brazilian hair bundles are soft, shine and has nature strong hair texture, can make you look more natural and beautiful. It will last for a long time. DSoar ’s hair bundles and closure are all made 100% human hair that is donated by one person.You can restyle it whatever you want because the hair adds extra volume and length. This hair is purely natural, healthy, and untreated,can be colored and styled in any way you like. In Common 3 or 4 bundles hair will be enough for a full head when they sew in human hair extensions to the head.But on the top of the head, you need to a hair closure to cover all.So The lace frontal closure with bundles are often sold. lace closure provides protection for your hair. Natural hair is actually covered by the lace mesh, so those styling chemicals will not damage your natural hair, your hair also has no chance to get brittle or thin.By wearing a closure, you make sure that all of your hair is protected so that this doesn’t happen. One advantage of buying human hair bundles with closures online is that it is cheap. 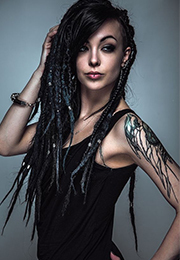 Compared to other types of hair extensions before purchase, length, hair curl and natural or not. The most mentioned in the market are Peruvian human hair, Indian human hair, Malaysian human hair and Brazilian human hair. The most popular of these is Brazilian hair bundles with closure. Brazilian Jerry Curly Hair bundles with closures provided by Dsoar Hair are the most popular among consumers. If you want to save time, I will recommend this hairstyle for you to choose. Do you like Brazilian hair bundles with closure? Very gorgeous, very suitable for you. 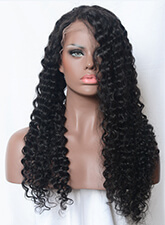 It can be body wave hair, straight hair, jerry curly hair and other curls. Choose the high-reputation Dsoar online store and buy the most original virgin hair. Cheap bundles with closure are ready for you.